Join the Un-Training with Sebastian Bergmann & Arne Blankerts! 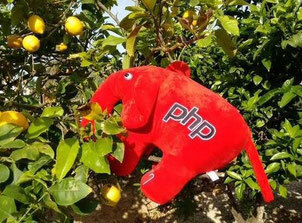 For years, the concepts and ideas of open spaces and unconference have become ever more popular in the PHP community. About time to adapt them for tutorials! Join Arne Blankerts and Sebastian Bergmann (thePHP.cc) for this participant-driven workshop. Based on the interests and questions of the attendees we will create an agenda that may include topics such as software architecture, domain-driven design, object-oriented programming, test-driven development, quality assurance, modern and secure infrastructure, automated deployment, and continuous delivery. We invite you to bring your own problems and topics in order to get the most value out of this training! The price for the Un-Training includes admission to the PHP Unconference Europe 2015. Register now for the Un-Training! Do the Un-Training! Register here! Arne Blankerts solves IT problems long before many companies realize that they even exist. He focuses on IT security, performance and reliability, which he attends to with almost magical intuition creating solutions that clearly bear his hallmark. Companies around the world rely on his concepts and LINUX-based system architectures. The team of Organizers thanks our gold sponsor thePHP.cc for their support. Alle ticket fees for the Un-Training are dedicated to the PHP Unconference Europe!